Things have definitely changed since then. I could barely cook back in the 80s, and going out for burgers was an exciting dinner treat on our budget. Just look at me now! Some of my best moments are spent in my garden and kitchen with my kids, cooking and eating as healthy as possible. 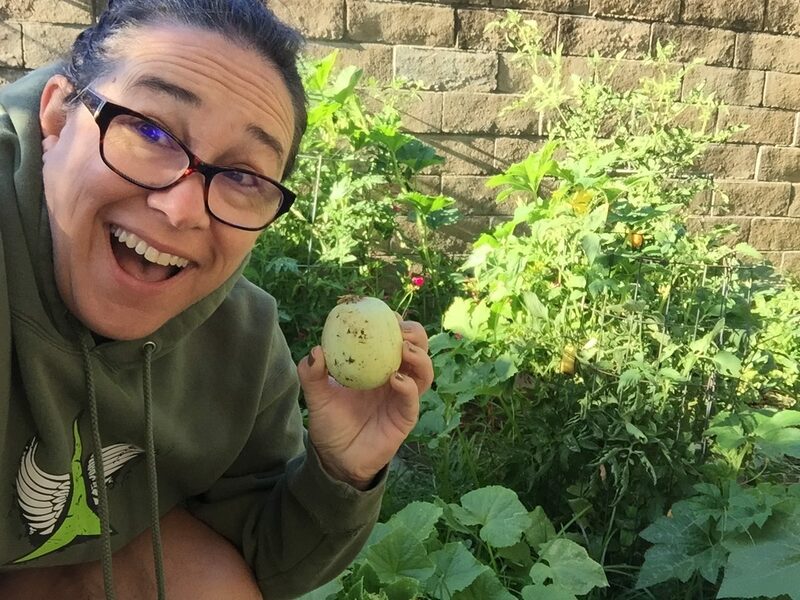 Living in California, having space to grow my own veggies and citrus in my backyard, and easy access to local farmer’s market produce has been such a gift towards healthy eating and cooking. This year we planted San Marzano tomatoes and 30 pepper plants! It seems like there’s always something in season that’s so delicious and full of nutrients that raising my kids on a low meat diet was simple; they’ve become fine cooks and enjoy trying all sorts of seasonal fruits and veggies. To encourage a love of food, one thing I always did when they were little was allowed them to pick out one new fruit or veggie on every grocery shopping trip. This didn’t always result in a new addition to their palate, but it did always result in them trying something new, like it or not. 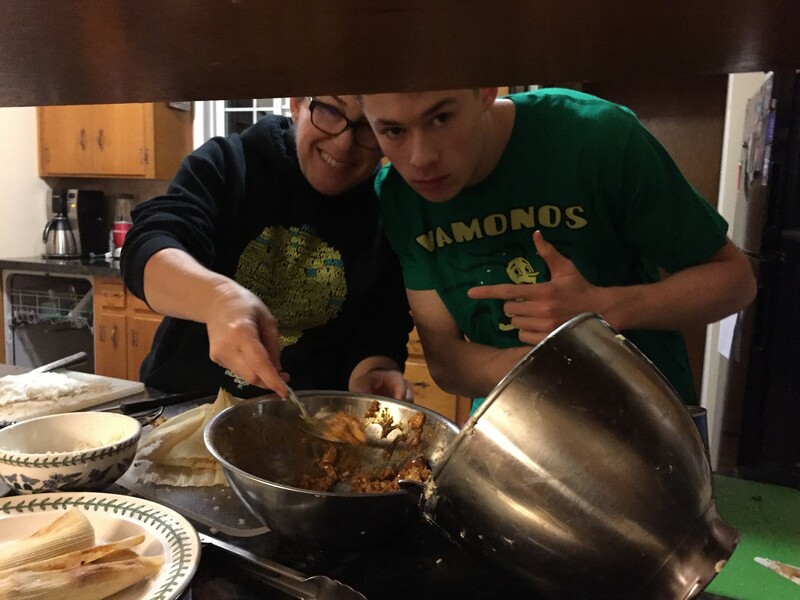 Making vegetarian tamales – I love cooking with my kids! Vegetarian Awareness Week is just a perfect opportunity for me to share my love of cooking and healthy eating, and thanks to the folks at Cucina Antica, I have the opportunity to do my first ever live cooking demo on TV! And yes, just a little bit nervous, but honestly knowing that the product I’m sharing is one I use and enjoy makes it easier. You can watch my live demo here. Have you tried Cucina Antica cooking sauces? Cucina Antica sauces are authentic family recipes with no added sugar or preservatives and made with imported Italian San Marzano tomatoes. I love the copious amounts of veggies in each jar, the lack of artificial preservatives and no added sugar, as well as the variety of dishes I can make with each one. For Vegetarian Awareness Week I’ll be making this yummy recipe for Spaghetti with Sautéed Eggplant – I’m so excited! Slice eggplants into 1/4″ vertical strips. In a medium sauté pan, heat the olive oil. Season eggplants with salt and pepper and sauté in oil until just slightly wilted. Set aside. Prepare spaghetti al dente. Meanwhile, heat Cucina Antica Tomato Basil Sauce. When pasta is finished, drain and coat with one cup of sauce to prevent noodles from sticking. Plate pasta and top with eggplant slices. Cover with remaining sauce and top with Romano cheese. Learn more about Cucina Antica at https://cucina-antica.com/.